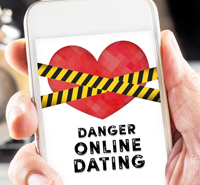 Have you avoided the world of online dating due to the stigma that you fear will brand you? Maybe you had a bad online dating experience, turning you off to the option entirely. Or you may think online dating is just for fun and games, and not for finding love. It may be time to rethink online dating. Let me address each of the above issues one by one. Online dating fact: With 40 million Americans using online dating sites, the stigma from newness is no longer an issue. As with all methods of meeting people- from bar hookups to blind date setups, matchmakers to online dating sites, not every experience is going to be a good one. If you have a bad date, don’t just drop the method all together! Get back out there. if you want to find love online, it’s a strategy. What’s the difference? Games are about manipulation. Strategy is about smarts. 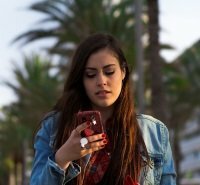 Why Should You Go Online? -You work from home and your opportunities to meet new people are limited. -You are socially awkward and fear that first impressions aren’t your strength. Online dating allows you to make a first impression before ever venturing into a face to face meeting. -You want to expand your reach and enlarge your dating pool, exposing yourself to more people who are beyond your normal circle of friends. Dating sites like Zoosk and match.com have members spanning a handful of continents. -It seems fun! Dating doesn’t have to be stressful. In fact, it can be a lot of fun! Especially when you know the strategy and take control of your future and your “fate." -You are recently back on the dating scene and need to practice and hone your dating skills. Practice makes perfect right? With so many options and opportunities, you will become more aware of how people respond to your presentation, attitude, appearance, and conversation. With this awareness, you will be able to fine tune how you present yourself. But more importantly, you have the opportunity to become more aware of what YOU like, don't like, and need in a partner. -You’re sick of falling for just chemistry because, as you have learned from experience, “love may be blind, but chemistry can be blinding." With online dating, you have the opportunity to be exposed to a pool of people who you can pre-qualify through strategic questions to make sure that the other elements besides chemistry align with what you're looking for before ever giving out your personal information or committing to a date. In the real world, you might experience that initial hit of chemistry when you happen upon each other at a bar or supermarket checkout line, and those blinders called “chemistry" can be dangerous. -You’re finally ready to make your love life a priority and online dating is the most direct and focused way to meet other likeminded people. -Because of the online dating fact that 33% of couples today met online. And you want to be one of those happy couples. It’s your turn. -Everyone’s doing it! 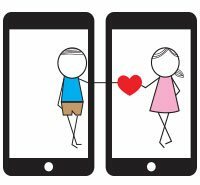 Everyone from businessmen to firefighters, teachers to attorneys, doctors to celebrity chefs, actors to acupuncturists, construction workers to flight attendants are online dating. Why aren’t you? -There’s a site for everyone, and each site has its own personality. There are certainly niche sites that target a specific clientele. But even the broader sites attract a certain type of dater, from businesspeople to artsy, buttoned up to kick back attitudes. If one site doesn’t seem to satisfy your type-needs, try another! -Matchmaking and communication differs on every site. One site might have you answering an hour-worth of questions before your profile goes live, and with another you’re following a series of structured communication with your daily matches. Beyond online emails, some sites allow winks, likes, pokes, and IMs, to show interest and initiate conversation without the structure of an email. Are you ready to start online dating? Make sure to check out online dating profile tips and begin your journey to finding love now!